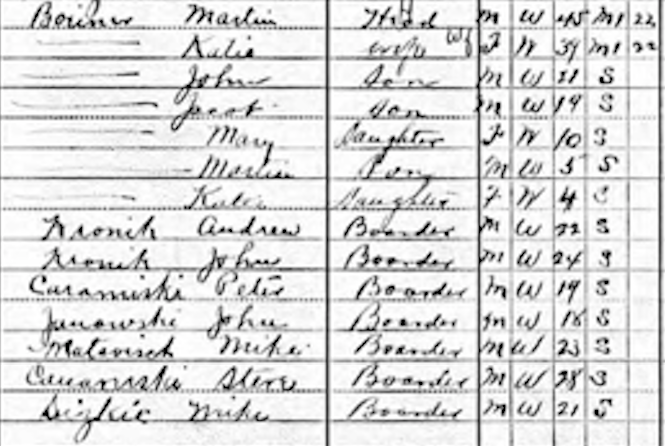 1910 US Census, boarders, Martin Boerner, Niagara, Sr. Exploring the 1910 US Census, I was fascinated to find six more people in the home than there were family members. The Boerners brought in several boarders, I’m sure to help pay the bills. I’ve written about them previously and noted my grandparents met when Grandpa was a boarder in their home in the late 1920s. This census took place almost 20 years prior to their meeting and marriage.